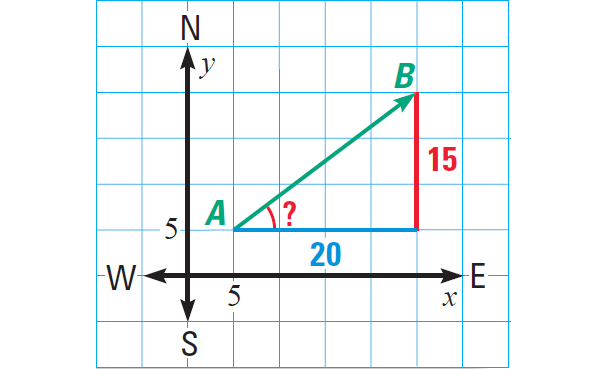 Worksheet given in this section is much useful to the student who would like to practice problems on vectors. 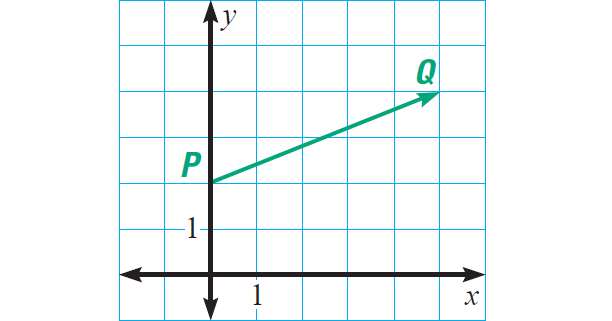 The initial and terminal points of the vector PQ are points P and Q. 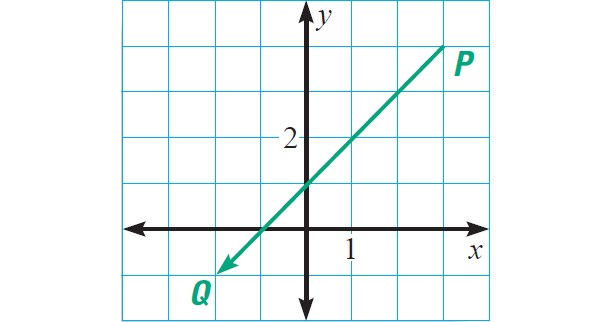 Draw PQ in a coordinate plane. Write the component form of the vector and find its magnitude. 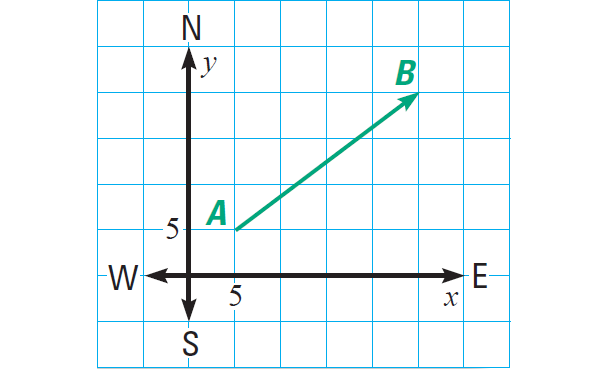 The vector AB describes the velocity of a moving ship. The scale on each axis is in miles per hour. 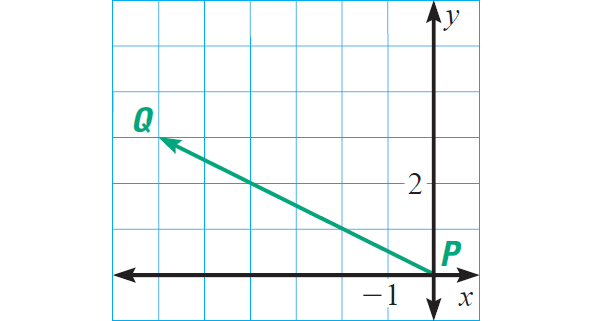 Identify equal and parallel vectors in the diagram shown below. Let the vector u = ⟨3, 5⟩ and the vector v = ⟨-6, -1⟩. Find the sum vector u + v.
A jet is flying northeast at about 707 miles per hour. Its velocity is represented by the vector v = ⟨500, 500⟩. The jet encounters a wind blowing from the west at 100 miles per hour. 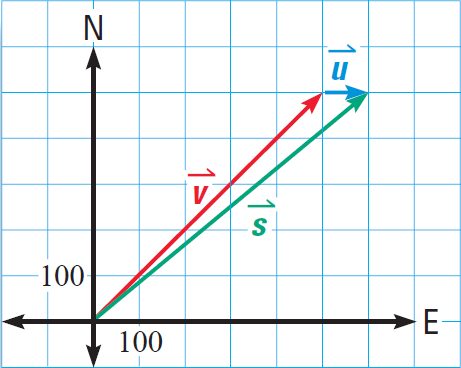 The wind velocity is represented by the vector u = ⟨100, 0⟩. Find the jet's new velocity vector s.
We can use the distance formula to find the magnitude. (i) Find the speed of the ship. (ii) Find the direction it is travelling relative to east. The magnitude of the vector AB represents the speed of the ship. We can use the distance formula to find the magnitude of the vector AB. The speed of the ship is 25 miles per hour. We can use the calculator to find angle measure as shown below. The ship is travelling in a direction about 37° north of east. 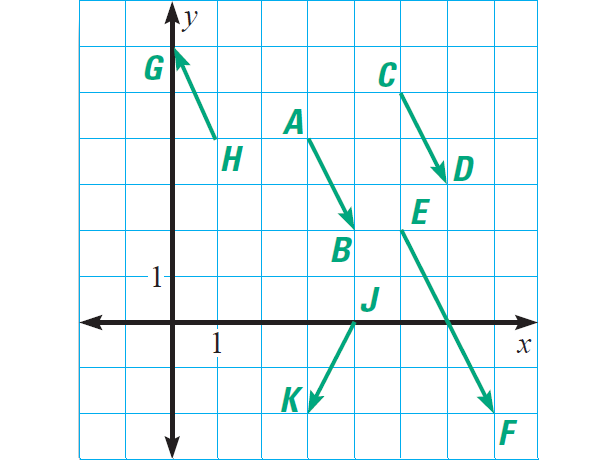 In the diagram shown above, the vectors AB, CD and EF have same direction. But only the vectors AB and CD are equal in length. So, the following vectors are equal vectors. And the following vectors are parallel vectors. 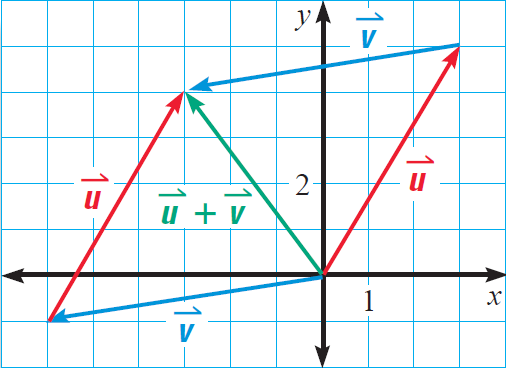 To find the sum vector u + v, add the horizontal components and vertical components of the vectors u and v.
The jet's new velocity vector s is the sum of its original velocity vector and the wind's velocity vector. The magnitude of the sum vector s represents the new speed of the jet. New speed ≈ 781 mi / h.
After having gone through the stuff given above, we hope that the students would have understood, "Vectors Worksheet".